American actor best known for his portrayal of Michael Corinthos on General Hospital, a role that earned him two Daytime Emmy nominations. In 2017, he appeared in the third season of the Amazon original series The Bay. After graduating from high school in Arizona, he moved to Los Angeles to pursue acting. 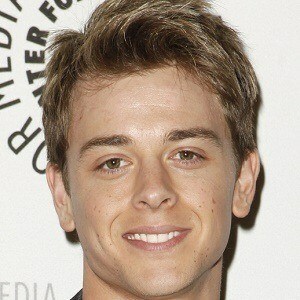 He appeared on The Suite Life on Deck and Wizards of Waverly Place. He proposed to Taylor Novack in 2011, after nine months of dating. The two wed in 2012, though the marriage was annulled not long after. He dated actress Kristen Alderson from 2013 to 2015. In 2016, he began dating Courtney Hope. Julie Berman was another actress who became famous through her role on General Hospital.